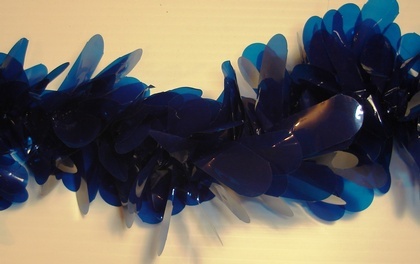 This garland of flower petals is more rigid than twist and has similar applications on your float: defining structure, separating colors, concealing fringe bias. It has a wire running through the middle which prevents breakage and allows the garland to be bent and twisted into desireable shapes, around poles, canopies, etc. 24' length.